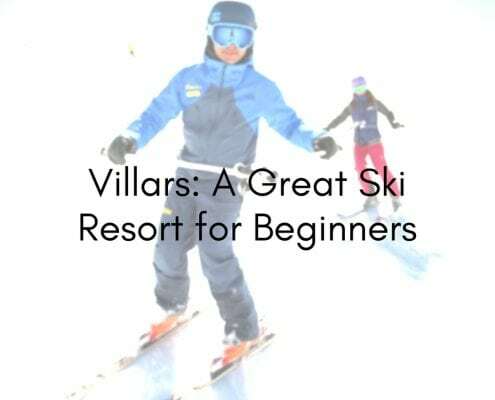 Villars is a charming and welcoming resort, filled with lots of amazing restaurants. We’re very lucky that this lovely resort has a bit of something for everyone, and children are very much welcome. So where do we grab some grub when we take off our skis? 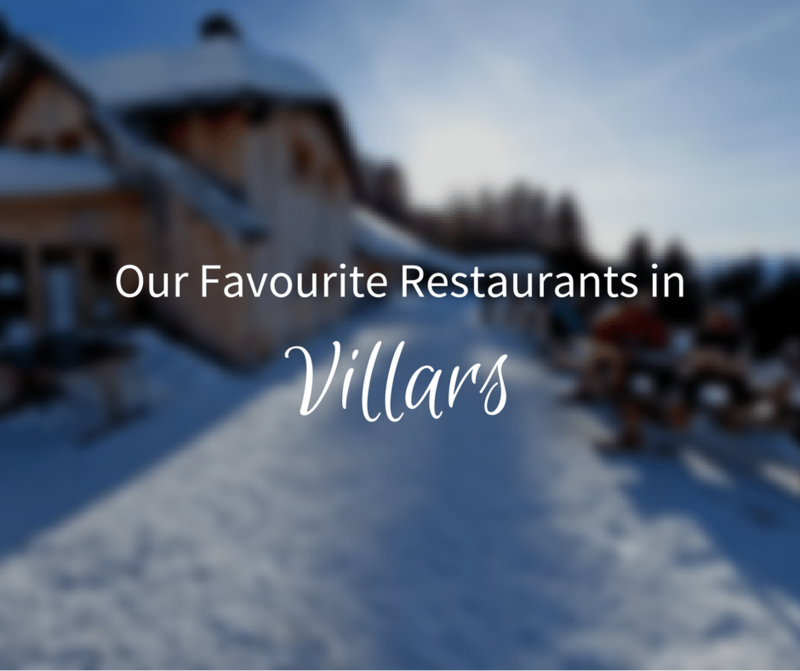 Here’s a few of our favourite Villars Restaurants that you should definitely give a try. If we’re starting the day in Bretaye, our first stop is always Crumbs. It’s actually obligatory! Great coffee, great hot chocolate and always available with a shot if required to warm you up or get that dutch courage firing. Need a sugar shot? Then grab a cookie or two, maybe three. It’s a super cafe with fast and fabulous food served through out the day by some really lovely staff. So great if you need to nourish or hydrate the little ones quick. Lovely outdoor seating makes it the perfect spot to find friends, view the children’s lessons and sit in the sun and enjoy your holiday while being in the centre of everything. We’ll be honest, on a slow day a bottle of rosé has passed ones lips while we’ve passed the time on a day off. Outside Crumbs Café bright & breezy. Photo used with permission from Crumbs Café. Where to head for lunch? Whether we’re warming up or cooling down, there are indoor and outdoor spots – perfect to warm up or perfect that goggle tan! Whatever your preference may be. What’s so special about L’etable? As the name suggests, it’s a stable, with half the barn housing the proprietor’s animals (which you can see through the window! ), with the other half turned into a charming restaurant. Beautiful decor and super food, they open Saturday nights too if you fancy a nighttime sledge/ski home? But remember to take your sledge and the right way home! It really is a must if you enjoy great on piste lunches. Booking is essential as with most places that have everything to offer. One of our favourites is the Cassolette de champignons (mushroom cassolette). It’s also possible for friends on foot to walk to, which is a great bonus, without getting any ski lifts or trams. Check out the website for fun evening events as well. Sunny day outside L’etable. Photo used with permission from L’etable. If you’re looking for spectacular scenery and you don’t mind a little effort to get there, then this is your place. 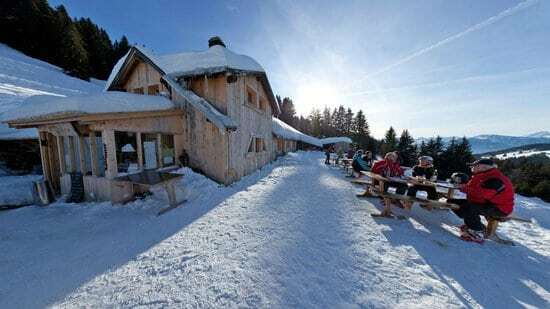 Hidden away by Lac Chavonnes is this charming little restaurant. Hands down they have the best rosti on the piste. But do grab one of our instructors and get them to point out where to go, as it can be hard to find. Or better still, book a guide for the day and head there for lunch. Either way, we recommend booking in advance to avoid the disappointment of a full restaurant upon arrival. Meeting the children after their lesson and want somewhere close by? For a restaurant with a beautiful view and surroundings, head to Hotel du Lac. If you have non-skiing friends or family, this is an easy place to meet for lunch, just a couple of minutes walk from the train. 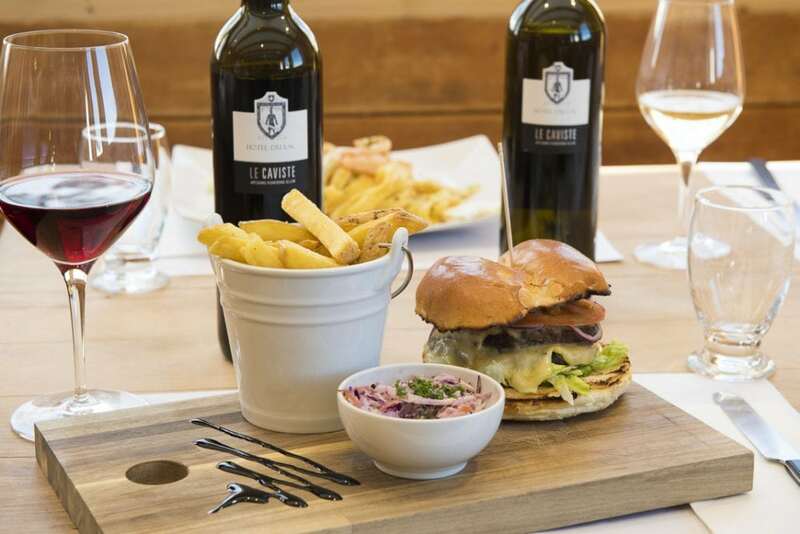 Hotel du Lac offers a varied menu as well as indoor and outdoor seating. It’s often busy during peak season, so book if you’re wanting a prime time. Sit, relax and enjoy being taken care of by the staff and treat yourself to something special. Yummy food at Hotel du Lac. Photo used with permission from Hotel du Lac. After a long day on the slopes, it’s often necessary to have a hot bath and siesta when you get back. But after a shower, you’ll likely be feeling refreshed and ready for a meal out and about. If true a Swiss meal is what you are looking for, then you won’t get better than Au Fue du Bois! 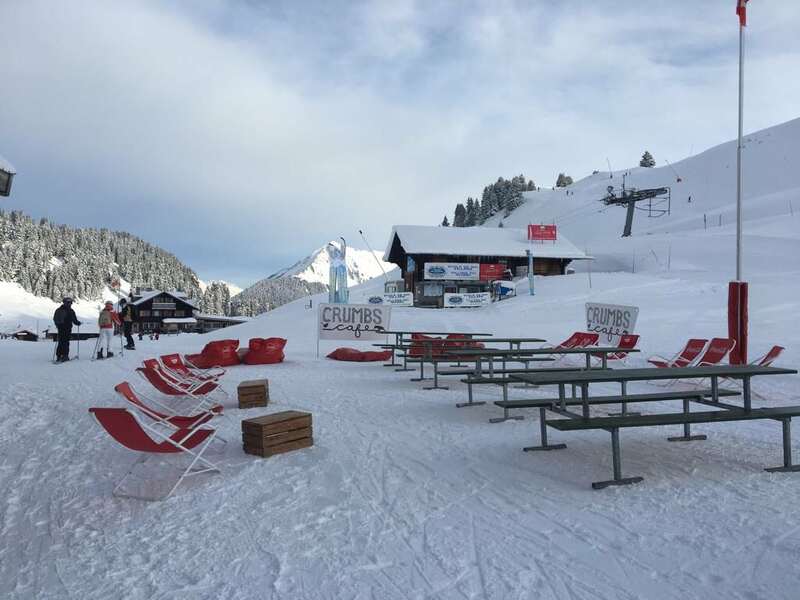 Try some raclette cooked over the fire or quite possibly the best meat fondue up the mountain! The wonderful, friendly staff doesn’t hurt either. 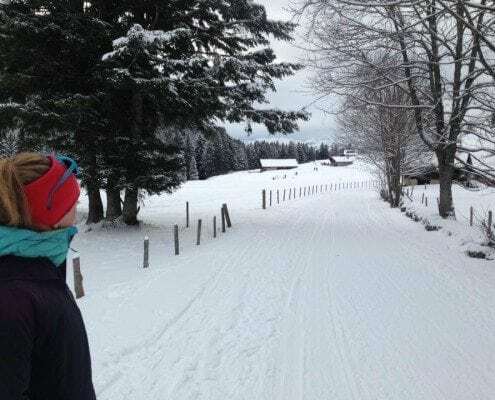 It’s hidden away down under the Hotel du Golf, so super central and an easy 2-minute walk from the train station in Villars. But blink and you will miss it! So keep your eyes peeled – just past the Hotel du Golf front door is the entrance. They’re open Friday and Saturday from 7pm-10pm, but be sure to check the website for Christmas and February openings. This year Mamma Lotta’s upgraded to a bigger and better location! They only moved next door, so don’t worry you won’t miss it. It’s the best place for pizza if that’s what you’re after, they also have a full Italian menu. Want a night in but no cooking then pop down and grab a take away too, so perfect. 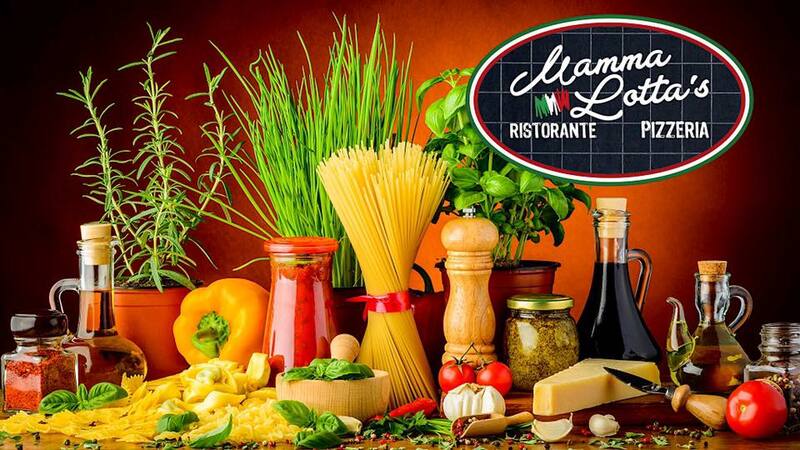 We definitely won’t go anywhere else for an Italian treat. Book if you want to guarantee a table. Always busy during peak season, so again book in order not to be disappointed. Great variety here. Intimate setting with good food and nice sized portions. Remember your on holiday so relax and enjoy the experience. A great night out and a lovely treat in store. We love the mussels and the steak tartar is something else. Head to Moonboot for an espresso martini before you call it quits. Oh wait, maybe a quick mojito, a dance on the bar and definitely bed. This one is without the children, after all, you only live once. 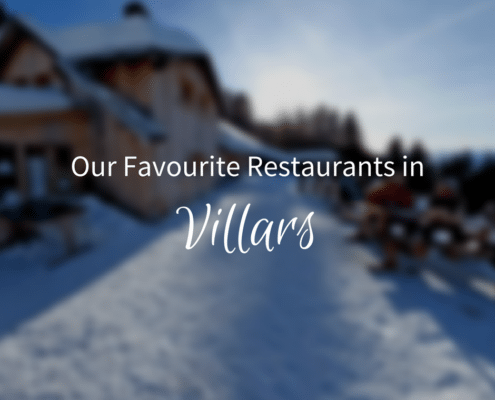 Where do you like to eat out in Villars? Let us know your favourites in the Facebook comments below and we just might have to give them a try ourselves!